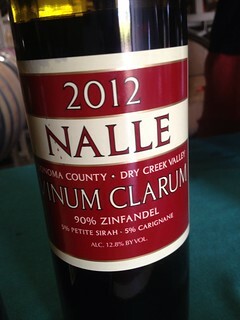 I’ve been a big fan Zinfandel from Nalle Winery for a long time. There was an end-of-the-shift moment at a wine shop I was working at, surrounded by a panoply of open wine bottles, where I kept coming back to this wine from California’s Dry Creek Valley. Why? Well, it was an astonishingly different take on Zinfandel. I happily cut my red-wine drinking teeth on Zinfandel that was rich, fruity, and full-throttle. And fun to drink! But while I appreciate the variety of styles of Zinfandel out there (see my Dry Creek Valley post for a few recommendations), I find that, in all red wines, I enjoy those with a lighter touch. Are you staring at the alcohol level? Didn’t think so. I try not to be obsessive to the point of judging wine by alcohol level; my initial enjoyment of Nalle came by staring at the glass rather than the label. Sometimes pre-sip label reading can become a self-fulfilling prophecy. Why are Nalle’s Zinfandels so distinct? Well, it goes back to Doug’s history of drinking old-school Zinfandel from the late 60s and early 70s, significantly those from Souverain and Joseph Swan. I’ll never forget Doug reminiscing about Zinfandels that he found “ethereal”. Have you ever heard that word used to describe Zin?!? 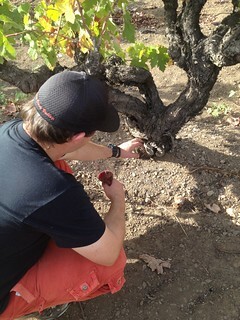 Andrew checking out the old, gnarly vines, glass in hand. 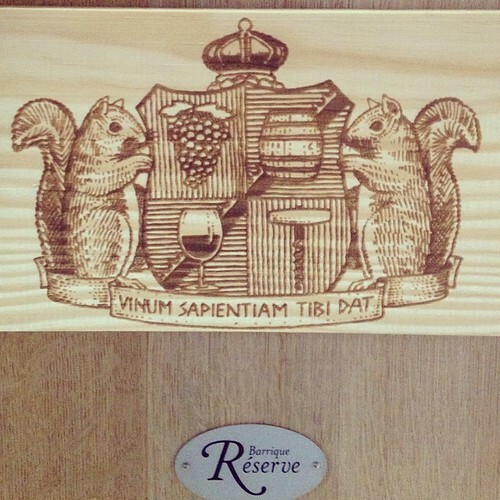 Heck, even their wine club is called the Squirrel Club. 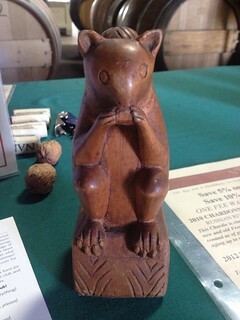 And people send squirrels to Nalle, and bring them by on winery visits to pay tribute. Let me point out that these are not live nor the once-living kind of squirrels, but rather artistic representations of the animal that graces Nalle’s crest. One other thing I learned at Nalle and, in Dry Creek Valley in general, is that if you want to make wine, it helps to play petanque. It’s a game like bocce, but with stainless steel balls and a less-defined court. You can see Nalle’s court, conveniently adjacent to the winery, in the lower right-hand corner of the photo below. Can’t you envision yourself relaxing with a glass of Zin underneath a trellised canopy, watching all the petanque action unfolding practically in your lap? Playing, however, is another matter. Am I destined to be merely a spectator? Fortunately, through the magic of Google, I just found a Seattle Petanque Club. I’ll be spending the winter months (are there indoor courts?) here honing my skills so that when I return to Dry Creek Valley, I can possibly persuade Nalle to have me on their team. I’ll even bring a squirrel, too. 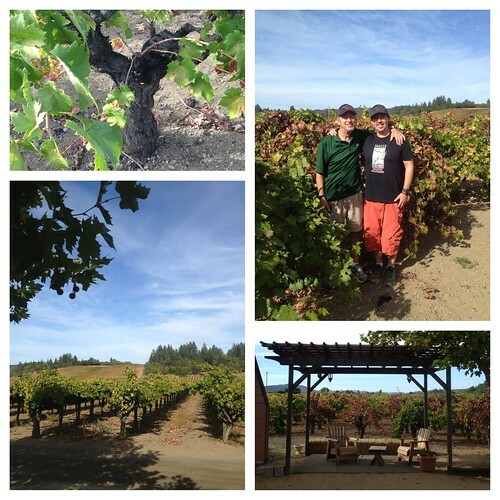 Check out what my friend Elaine had to say about her visit to Nalle on Hawk Wakawaka Wine Reviews.